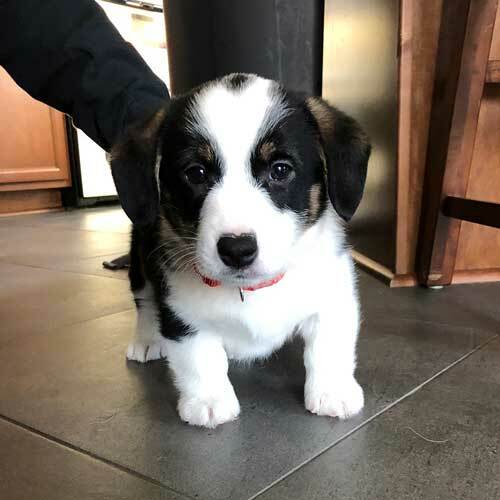 How a Corgi puppy joined our lives! Let’s talk Angus. Yes, the wild little nugget from Washington, Bellingham to be exact. We love this little guy so much. Since he’s about to be a year old soon, I thought it would be a good time to tell his journey to our home. A day didn’t pass that I didn’t think and tear up over Hambone. It simply was unbearable to the point of complete heart break. I had no idea that pain would or could exist like it. The house was so quiet, even with Cupcake and Wolfgang. I begged my husband to get another, not really begged but asked in a super emotional way. I happened to contact another Corgi family, asking about any new litters. It was Dottie and Duchess of @LottieFreekinDottie, the sweet cowboy Corgis! Those cute moldy potatoes. Here are a few cutie pics of them. I love their markings! To my surprise, a litter was available! And, the big awesome surprise was this litter was born on December 26, 2018. Hambone was born on December 25! Was this a coincidence or some kind of serendipity! @lottiefreekindottie was making a trip to the breeder to take puppy photos. They would send me photos ASAP. Angus Hambone Young, aka Lil Biddy aka Spangus, was ready for pick up on February 20, 2018. I could not contain my excitement, as our home would be bustling again! I booked our flight for Seattle WA, and car rental for Bellingham. We would fly up, drive up, drive back to the airport, fly back home in one day. Yes, it was certainly possible. We reached the country town of Bellingham in two hours, arrived at the ranch with high anticipation. As soon as we heard the familiar barks of Corgis, we knew we were at the right place. Meaghan opened the door with baby Angus in her arms, and the rest is history! Our flight back was super smooth, as Virgin Air allows dogs in the main cabin. We were treated very well, since we are nervous new pawrents, right? We hope you enjoyed the journey of baby Angus! Check out the Three Corgis swag in the shop. You won’t be disappointed, I hope! Don’t forget to follow us on all the social media sites! On YouTube www.youtube.com/andthreecorgis and Instagram @threecorgis. Follow us on Twitter (until the account gets suspended).